Snap out the negative thoughts – helping women with Lupus reclaim their health. A few weeks ago I wrote about how important mindset is to our overall health and provided some easy ways to begin shifting your mindset by shifting where you put your attention. But sometimes we need to do a little more work to change our default thought pattern from negative to positive. While this may seem a daunting task it can be as simple as finding a rubber band and committing yourself to making the change. Negative thoughts are extremely damaging to both our quality and quantity of life and are just as potent as any drug. Leading up to my diagnosis, I struggled with negative thoughts. I attribute those thoughts to the inflammation in my body. But I’m healing, and I believe that becoming aware of and shifting away from those negative thoughts has been critical to my health journey. While I have gotten better at recognizing and addressing these negative spirals, it’s still important to stay vigilant, especially when my stress level is higher — like around the holidays. Recently, my practice has included rubber band snapping or rather lightly snapping a rubber band around my wrist when I catch myself going down that negative path. This technique comes out of the field of cognitive behavioral therapy where the goal is to change your patterns of behavior/thoughts by using tools to help you become aware of your negative thoughts so you can change them. 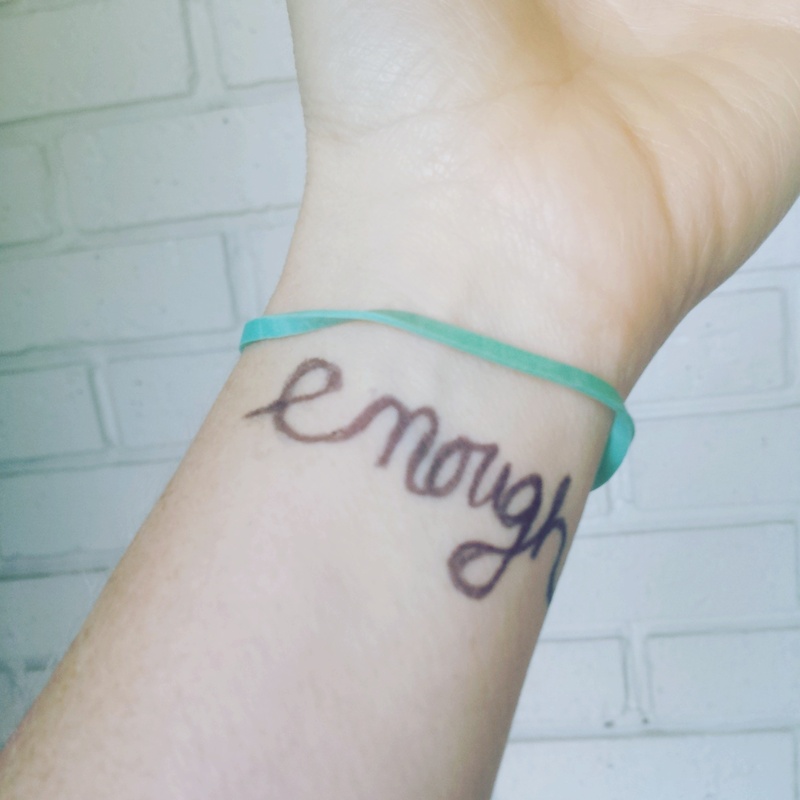 Wear a loose rubber band around your wrist. When you catch yourself in that negative spiral, you lightly snap it. Follow it up by saying something you would rather be thinking. The rubber band has no mystical powers, but it is a great tool to help you gain control of your negative thoughts and replace them with the thoughts that will help you build the healthy life you want. Let me know about your experiences with rubber band snapping or thoughts you might have in the comments below. P.S. If your negative thoughts are out of control or you feel completely hopeless, I urge you to reach out to a therapist. Previous Post Gratitude every dang day!